. CYP HDMI Cat6 Transmitter with IR HDCP 1.1 & DVI 1.0 HDMI, compliant. 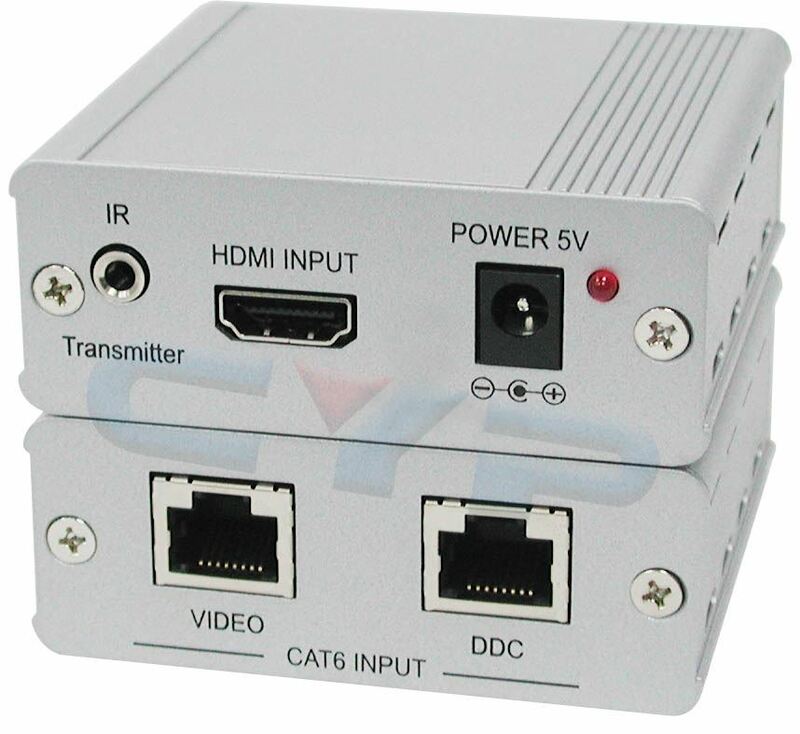 CYP HDMI Cat6 Transmitter with IR HDCP 1.1 & DVI 1.0 HDMI, compliant. CYP HDMI Cat6 Transmitter with IR HDCP 1.1 & DVI 1.0 HDMI, compliant. Extends 45m@1080p/8bits and 15m@1080p/12bits. The HDMI 1.3 transmitter over CAT6 is an extended tool for your long distance HDMI display. Instead of using an expensive HDMI cable your existing CAT6 cables/sockets can perform the same functions like transfer Deep Colour (12 bits/colour) video and new lossless compressed (Dolby TrueHD, Dolby Digital Plus and DTS-HD Master Audio) Digital audio, with a bandwidth up to 225MHz. Moreover, you can use your existing remote control to control your device over 30/45m long through the IR blaster. HDMI 1.3 Transmitter and receiver, your substantial HDMI extender. Compliant with HDMI 1.3, HDCP 1.1 and DVI1.1 standards. Supports digital video formats in Deep Colour Mode at up to 36 bits (12bits/colour) and new lossless compressed (Dolby TrueHD, Dolby Digital Plus and DTS-HD Master Audio) Digital audio. Supports CAT6 cables for data/DDC transmission. Supports, equalise and recover incoming TMDS data before re-transmitting them with optimal quality regardless of the incoming signal quality. Supports high definition resolution, the cable distance test with 1080p/8bits resolution the Input/Output source can run up to 30/45m. If 1080p/12bits resolution the Input/Output source can run up to 15/15m.